This week we head to Costa Rica, where AD&D 4D shows us a Costa Rican stone pre-Columbian sphere full of carvings resembling a jaguar. Nowadays, 3D image has been converted into a powerful expression, communication and knowledge transmission media. AD&D 4D aim is to apply the latest technologies with interactive illustrations manner and with discovering heuristic tools. 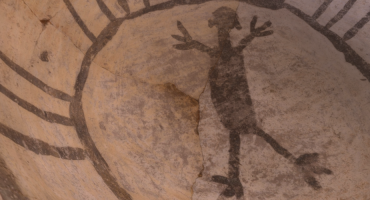 Through the works shown as example in the following lines, it can be proved that photogrammetry is a tool allowing us to see beyond the reach of our eyes and photogrammetry facilitate a detailed tracking, along the time, of our patrimonial settlements “health”. My name is Robert Muñoz and I have been working during the last 20 years as a graphical reporter in the regional, national and international press. I have always been an enthusiastic of the photostereography, although twenty years ago, it was difficult to predict that, through this technique, the digital photogrammetry would be born and it would reach the current interest and applications; from the beginning, all my investigation works have been addressed towards this direction. The idea of creating a 3D vision from a couple of 2D images appeals me, a simple concept in order to cause in the brain the depth perception. One of my last reports made with this stereographic technique was “Megalithic” (Find attached the Catalogue and the Dossier, glasses are needed to view the anaglyph with red and cyan). The documentary and research work derived by “Megalithic” was the previous step to the photogrammetry techniques in which I am working since 2013, giving as a result AD&D 4D, that comes to light at the beginning of 2014. In order to perform this project, we got in contact with the National Museum of Costa Rica and we applied for permissions in order to document in 3D some pre-Columbian stone spheres in the Diquís valley, located in the hearth of the rainforest in the South Pacific of the country. In the same way, we contacted with the Doctor in archaeology Ifigenia Quintanilla , the world best expert in Costa Rican heritage elements. The stone spheres were declared Humanity Heritage by the UNESCO in June 2014. 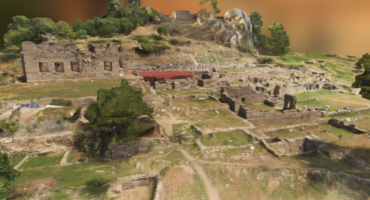 Our aim was to document in 3D the archaeological remains and for that we used the technology as a tool that will allow us to see beyond the reach of our eyes. To see more of AD&D 4D’s models here on Sketchfab, check out their profile!